Due to the completely customized and personalized features of of this item, it requires SPECIAL ORDERING. If you'd like a quote on any model, please give us a call at 800.827.7534 or email us at info@deansafe.com. 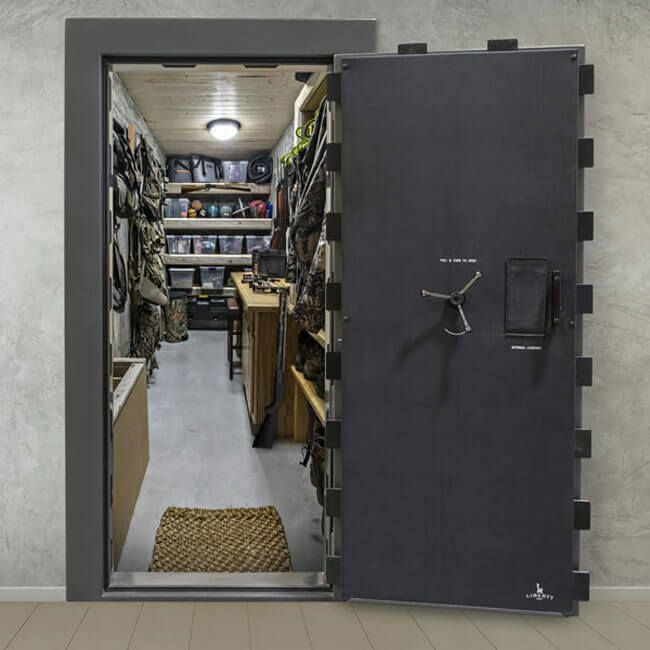 New and Improved for 2018, the Liberty Vault Door will completely blow you away! 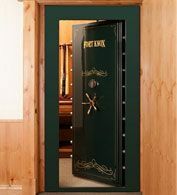 A great alternative to buying safe after safe, is to buy one giant safe room in the form of a Vault Door. 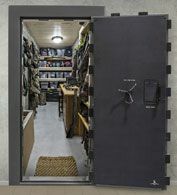 With a multi-function application including storm and natural disaster shelter, as well as a beautiful and secure way to store and display your most prized possessions, Vault Doors end up being the best bang for your buck when you have the collection to warrant them. 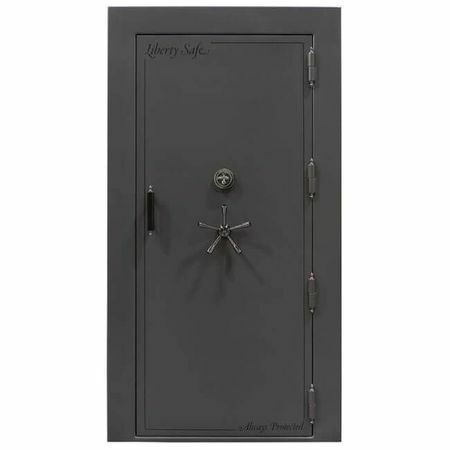 In terms of security, the Liberty Vault Door is made with a 12 gauge composite door with a full 1/4" inner steel plate. The entire frame is built from 7 gauge steel with a 1/4" laminate creating significant resistance to prying and drilling. 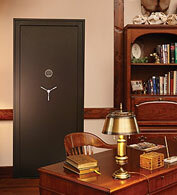 What really makes this vault door top notch is the 18 1/2" thick Military style locking bars. These new locking bars have shown to have nearly double the pry resistance as the traditional locking bolts as they cover a wider surface area and are insanely difficult to bend, especially at 1/2" thick each. 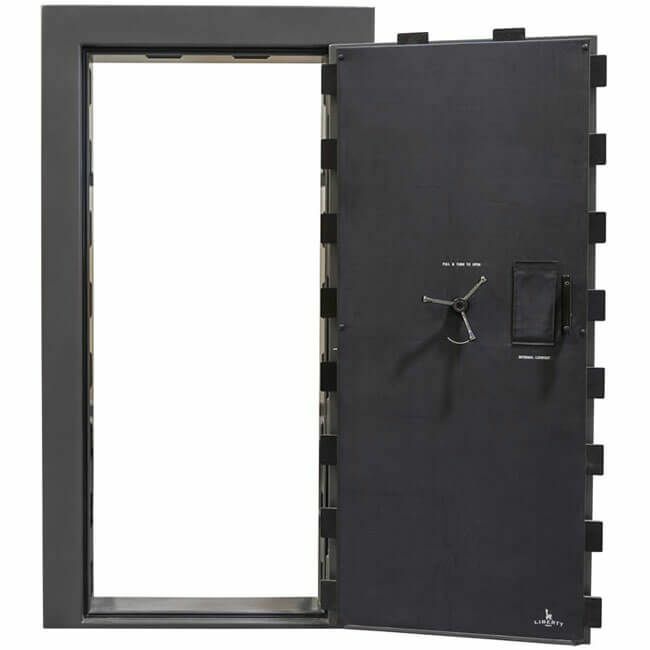 Liberty also includes multiple layers of fireboard in the door and a heat activated door seal to add fire protection. 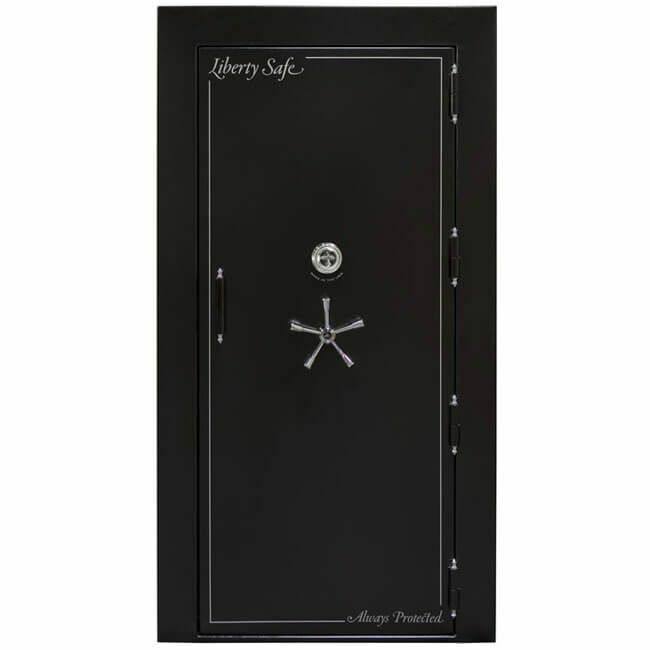 The Liberty Vault Door comes standard with a UL listed S&G mechanical lock with an optional electronic lock upgrade. After the combination is entered you can open the vault door with the beautiful 5-spoke handle finished in either chrome or black chrome. Once fully inside, you can close the vault door completely as Liberty added an interior release door handle that will allow exiting even if the door is closed. 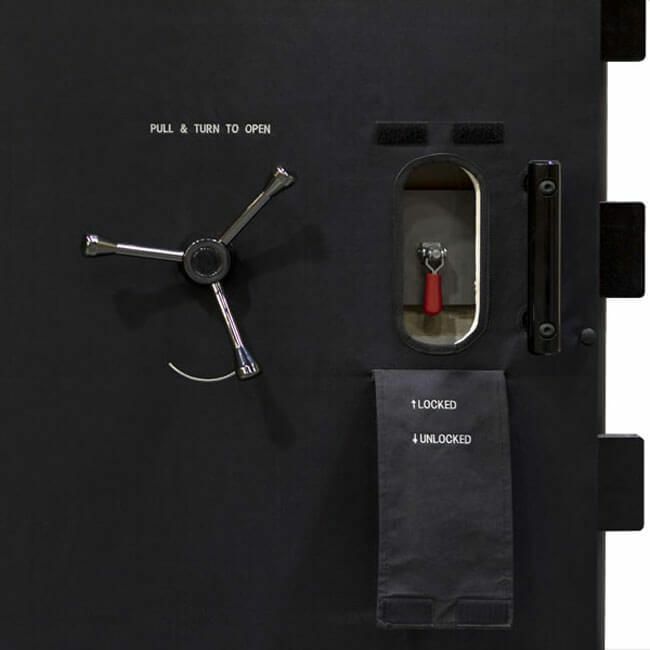 The interior handle is a 3-spoke handle and the internal lockout lever switch allows you to lock the door from the inside in a panic room situation. Theses stunning vault doors are available in textured black with chrome or gray marble with black chrome. The Liberty Vault Door is backed up by Liberty's No Cost, Lifetime Warranty against break-in, attempted break-in and fire and it's fully Made in the USA.